The MRAC Economic Development Committee is committed to encouraging and empowering our community to become financially literate and economically self-sufficient. In fulfilling our commitment to Delta Sigma Theta’s FIVE-POINT Thrust, we seek to provide monthly programming, as well as quarterly and annual events to ensure education and exposure are provided to the community we serve and beyond. We do this through the development and implementation of programs that address the Financial Planning and Consumer Literacy needs of our community. Greetings! 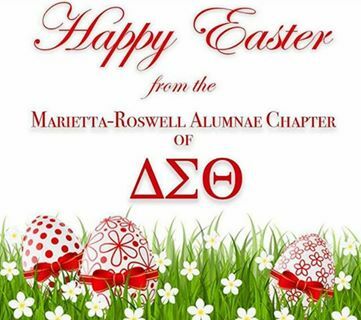 On behalf of the Marietta-Roswell Alumnae Chapter of Delta Sigma Theta Sorority, Inc, we want to thank you for those that attended our 2019 Community Economic Empowerment Summit presented by the Economic Development Committee. THEME: Powering Financial Fortitude through Financial Empowerment Tools: Literacy, Awareness & Growth. You are invited to join a “Conversation: Getting Debt Free!” You will learn tools and received guidance on reducing debt and understanding now to stay DebtFree. The dfree® Financial Freedom Movement is a faith-based initiative that offers practical strategies for achieving financial success. The National Program Planning and Development Committee, in collaboration with dfree®, is re-launching the Billion Dollar Challenge (BDC) to encourage the reduction of debt. Also being introduced is a savings component that aligns with Delta’s Financial Fortitude initiative focusing on increasing assets and building wealth. For more information about the chapter’s initiatives around this thrust, please contact the committee chair at economic@dstmrac.com.